Clean skin is a key requirement for youthful, healthy skin. Clearing away environmental contaminants and dirt helps prepare its surface for nourishment and optimal product absorption. Kyani's Boosting Cleanser is the ideal solution for thoroughly cleaning skin without stripping it of its crucial moisture. 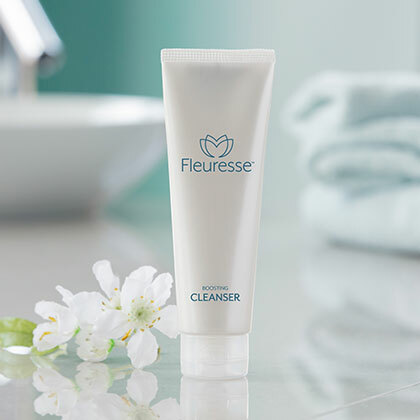 Fleuresse Boosting Cleanser helps clean the skin and prepare it for an infusion of antioxidants, vitamins, and amino acids that help combat the visible signs of ageing. Using natural botanicals and potent natural extracts, the formula helps clean skin while also nourishing it. Gently massage a pearl-size drop of the Boosting Cleanser onto slightly damp skin. Rinse thoroughly with splashes of warm or cool water and pat dry.